Conservative media chatter about Hillary Clinton's health has gotten so loud that Donald Trump is questioning her "physical stamina" — and now the Clinton campaign is condemning him for "peddling deranged conspiracy theories." On Tuesday night the campaign issued a new statement from Clinton's physician saying that she is in "excellent health." And communications director Jennifer Palmieri accused Trump of trying to distract from his own refusal to release tax returns. The forceful rebuttal was deemed necessary by the campaign because the health rumors have been getting more and more attention in recent days. Web sites like The Drudge Report and television hosts like Sean Hannity have given ample attention to the rumors. On Tuesday night the Clinton campaign called Hannity a "Trump surrogate" and "conspiracy peddler." The campaign's detailed press release also called out Trump confidant Roger Stone for "pushing fake medical documents supposedly leaked from Hillary Clinton's physician that purport to show grave health problems." Clinton's actual physician, Dr. Lisa Bardack, chair of CareMount Medical's department of medicine, said in a statement, "These documents are false, were not written by me and are not based on any medical facts." Bardack reiterated what she originally said last summer — that Clinton is fit to serve as president. In right-wing circles, there have been persistent doubts about that. Unsubstantiated theories about Clinton covering up a secret illness took root after Clinton fainted and sustained a concussion in 2012. Some armchair commentators even predicted Clinton wouldn't be able to run for president in 2016. The health speculation was initially relegated to the fringe, but Trump's media allies and Trump himself have brought it into the mainstream. Trump's Monday remark that Clinton lacks the "mental and physical stamina" to battle ISIS came after weeks of web and TV speculation about her health. The Drudge Report, one of the most widely read sites on the web, promoted social media chatter about six-month-old photos of Clinton slipping on a flight of stairs. Drudge failed to note the context or dates of the photos. And Hannity, under the guise of "asking questions," aired repeated segments about the subject of Clinton's health on his Fox News program. Drudge kept it up on Tuesday, linking to a right-wing web site's story about Clinton "grasping for a railing, a chair and the kitchen table" at a campaign event on Monday. Trump taped a TV interview with Hannity on Tuesday evening in Wisconsin. It is unknown whether the topic of Clinton's health came up. But the Clinton campaign seemed to go on the offensive by issuing its press release on Tuesday night. "Donald Trump is simply parroting lies based on fabricated documents promoted by Roger Stone and his right wing allies," Palmieri said. 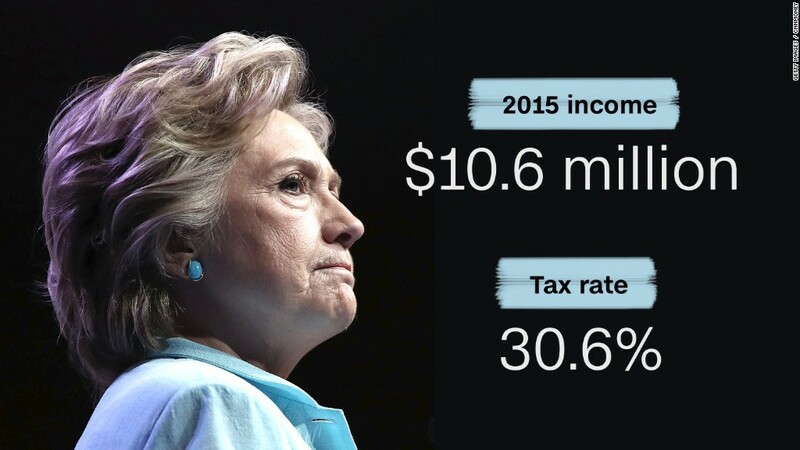 "Hillary Clinton has released a detailed medical record showing her to be in excellent health plus her personal tax returns since 1977, while Trump has failed to provide the public with the most basic financial information disclosed by every major candidate in the last 40 years. It's time for him to stop using shameful distractions to hide his own record." The press release linked the health rumors to other conspiratorial ideas Trump has promoted, including discredited questions about President Obama's citizenship. It also hinted at questions about Trump's own health by quoting Newsweek writer Kurt Eichenwald, who said on CNN Tuesday morning that Trump's own health disclosure was not a "real letter." "It's from a doctor who treats digestive problems," Eichenwald asserted, and it "says such things as 'Donald Trump will be the healthiest president in the history of the United States.' That sounds a lot like Donald Trump."